Meet at 12.45, for 1pm start, at the top of New Inn Hill (parking at the RSM Staithe, or there will be an overflow car park available at the Green Lane play area). The circular walk is approximately 5.5 miles, and we will aim to arrive back at the New Inn pub for about 3.30pm for mulled wine and mince pies. The walk is free. Weatherproof boots are advisable. 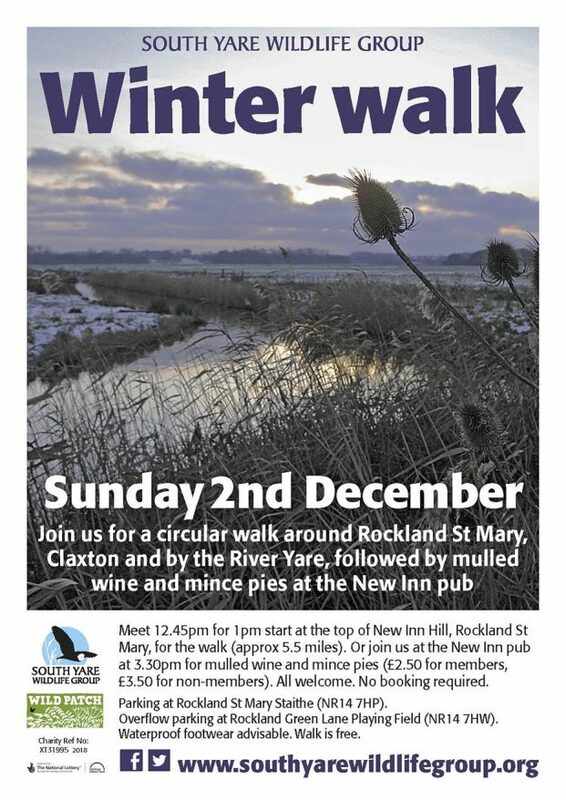 It is a longer walk than usual, so if that doesn’t appeal, do come and join us at the New Inn at 3.30pm for the mulled wine and mince pies. Cost for members £2.50, and for non-members £3.50. If it pours with rain on the day, the walk may have to be cancelled, but we will still meet at the pub at 3.30pm.